It has a very fast pick up speed and very sleek black color. My car runs smooth whoever right now apparently it has a recall on it for a secondary coolant pump. I like the back up camera I just do not like that I cannot stream music I can only use the radio or CD. I like that it lets me know whatever is wrong with it compared to my old vehicles I used to have where it was a guessing game. 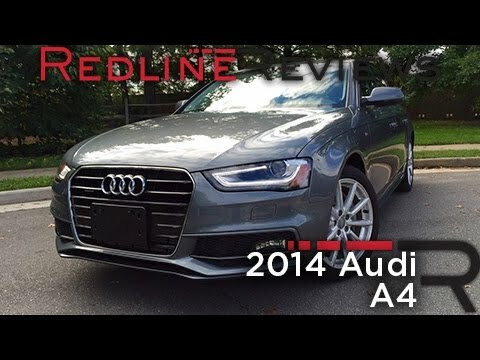 It's a great starter Audi vehicle! I've had my vehicle for almost 3 years now is a lease. I love it however I'm about to trade it in for bigger and better I'm going from an A4 to an S8. The reason for this is I want more power and more space. The 84 is a great starter vehicle for the ADI line and I have really enjoyed having it for the last 3 years. Good for long drives and often uses. Responsible, very comfortable sport seats, good sound system, nice leather, wide wheels which are really quiet, big trunk, enough space in the back, good speed, problems with air condition, nice start stop system, nice to turn, good drive back system, automatic sometimes does not work so radio blocks.